[Complete Study] What Is 'Restrict App Background Data' Used For? - BaseOnTechs - Learn To Do It Yourself. 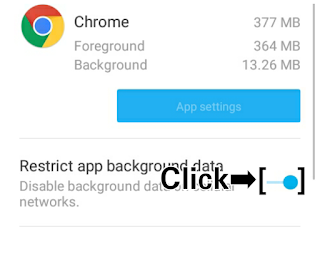 Home Android Tips And Tricks [Complete Study] What Is 'Restrict App Background Data' Used For? 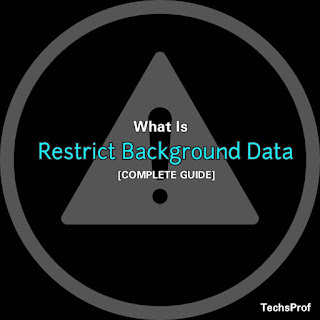 [Complete Study] What Is 'Restrict App Background Data' Used For? The only feature that has been nice. One feature I have never regret to ever notice. Before now, I never thought there was any feature like this which could exist on a device, not knowing that even older versions of Android phones have it on them. All well and good anyways. Thank God for the day I discovered and now I am able to use it coz I know its meaning, functions and other things about it. So what's this feature I have been talking about? 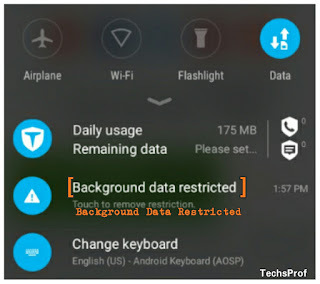 It a built-in feature on (almost) every Android and iOs devices known and called as "Restrict Background Data" Or "Data Saver" In some phones. Now, what's this Feature used for? The name sounds self-explanatory. 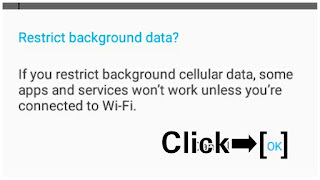 "Restrict Background Data" Or "Data Saver" which simply means it focuses mainly on minimizing of data. It helps you reduce the consumption rate of data. How possible can this be? I know some may still ask questions like this or related, oh no! Feel free it's normal, I did ask too, but let me make it clear. 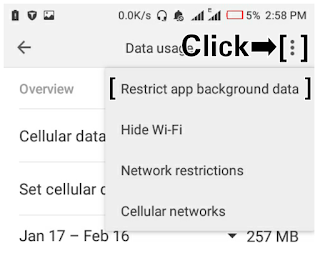 When you turn on "Restrict Background Data" Or "Data Saver" it goes straight ahead and turns off every connection making use of your data except the current app you are using at the moment. 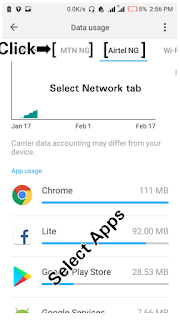 For example, if you are making use of chrome browser and later on switch to Facebook then every connection on chrome will be turned off and Facebook would be the only App consuming data. For sure, that will increase your browsing speed coz no other app is using your data, yeah. It helps saves and reduces data charges. Reduces device temperature in some ways. Decrease maximum or high connections. It increases browsing speed and makes browsing experience a better one. I also noticed that turning ON "DATA CONNECTIONS" doesn't drain battery life faster anymore. As we all know, it has been said that anything that has an advantage may as well have disadvantages. So here are some stuff that you must overlook while trying to minimize your data for best browsing experience. You won't be informed of new updates if there's any unless you check for yourself. Anyways for me, I think the above is the only disadvantages. Anyways, using this feature 'Manually' can help you bypass them. And there are more and better things about it. Now how can I activate this feature to play along with its benefits? It's simple. Below is how you can activate "Data Saver". Tap on the three(3)dots at the Top-Right-Corner on your screen. Note: This tutorial was made from android version 6.0, so in case you are using an older or newer version you should apply some wisdom. How do I know if Data Saver is active? While in some, it might not be available but don't worry it all same. That's not necessary as long as you are seeing its functions. You can as well turn on Data Saver manually. I.e turning it ON, on certain apps and leave the rest. Of course, the below steps is how to turn ON Data Saver manually. HOW TO ACTIVATE DATA SAVER MANUALLY. At this point, you are to select the sim or network you wish to restrict its background data either Mtn, Airtel, Etisalat or Glo. Just tap on the Network tab. Refer to the screenshot below. Now it's time to activate Data Saver manually on your device. kindly tap on the apps one after another then click Restrict App Background Data. That's it. You can activate as much app as you want. In my case, I left apps like Facebook, Gmail and Google Service coz I do expect notifications of new updates from them. So in this way, I consider this feature as one of the best. Anyway, every feature on Android, iOS, windows and other devices has its own role to play and as well have its own authorities in one way or another. Now what are your thoughts on this feature? Do you have any question? Did I miss anything? Do you prefer turning ON " Data Saver" manually or automatically. Let me here from you in comment section.